Spotify began a buying spree in an apparent bid to dominate podcasting. Here’s what it knows that others don’t. The Swedish music streaming company Spotify made two big moves into podcasting this week, buying podcast publisher Gimlet Media and podcasting recording app company Anchor. Superficially, the acquisitions make no sense. After all, there’s no money in podcasting, right? The entire U.S. podcasting industry made only $314 million in advertising revenue in 2017. Yet Spotify’s acquisitions are part of a $500 million buying spree in the podcasting space promised by the company for this year. Does any of this sound like good business to you? Here’s what Spotify may know that others don’t. Podcasting is a weird industry. Apple’s iTunes first started supporting podcasts nearly 14 years ago, but somehow the medium feels new and emerging. Nobody knows what a mature podcasting industry will even look like, how advertising will work or how big the audience will be. A small number of American podcast networks (including Gimlet) earn some revenue from subscriptions and memberships, but most of the money comes from advertising — which is why podcasting is a relatively small business in the U.S. In China, it’s a different story. Podcast advertising there tends to be augmented by subscriptions, memberships and tips. As a result of more variable and aggressive monetization — plus the enormous popularity of the medium there — podcasting may be worth more than $7 billion in China. Spotify may be looking to enter the potentially more lucrative Chinese market. Tencent Music, part of the China-based Tencent Holdings investment holding conglomerate, is a major Spotify shareholder and may be pulling Spotify toward the Chinese market. Spotify has had designs on that market for years. New acquisitions may fuel the launch of a Chinese podcasting presence. More interestingly, the podcasting space has massive headroom for new business models. Years ago, music downloads and streaming were seen as money-making businesses, whereas podcasting was something companies such as Apple facilitated as a kind of freebie. But now it’s possible that Spotify sees podcasting as more monetizable. A song is a song is a song, and music is increasingly commoditized through the primacy of streaming over downloads. But a podcast that streams valuable business content that could be expensed by executives, for example, could command far more than any album could. 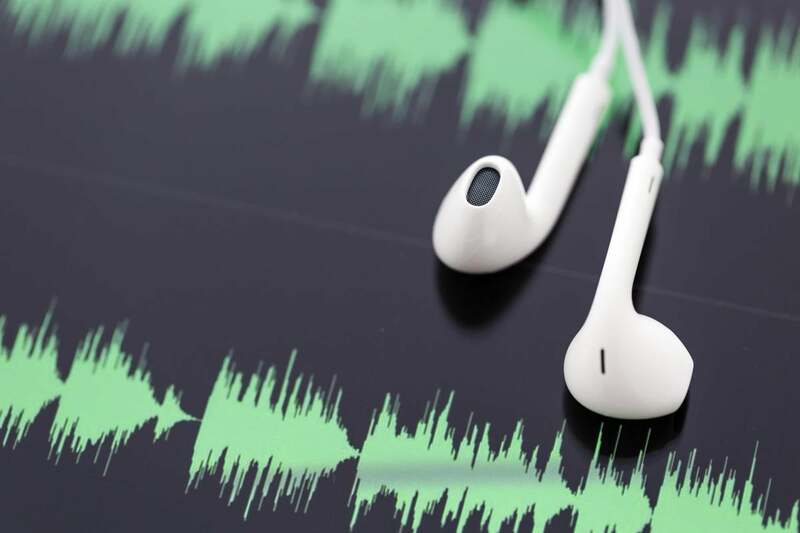 While music is largely a consumer product, podcasts are also important for business audiences, as well as for education, training, marketing and more. Spotify is likely to embrace the Chinese model of multiple streams of revenue inside China and around the world. Paid podcast subscriptions are clearly emerging. A company called Substack, which makes tools that enable writers to charge subscription fees for their newsletters, is getting into the podcast subscription racket, for example. And even in the podcast advertising space, there’s plenty of room for growth. In the U.S. market to date, podcast advertising has been dominated by a short list of companies. Spotify may wish to use its newly purchased heft to bring in more deep-pocketed advertisers and push beyond the current roster of mattress-by-mail companies, job sites and blog hosting services. Premium podcasts could attract premium advertisers such as car companies, expensive wristwatches and high-end alcohol. More importantly, podcasting would benefit massively from better metrics, regionalized and personalized ad targeting, and other aspects of advertising that are common in other media but rare in podcasting. Spotify will also probably drive podcast listenership by matching listeners with new podcasts the way it does with music. (The company says it uses some 16,000 “signals” to personalize music recommendations.) It may pursue the Facebook model of employing powerful algorithms to drive up hours spent engaging on the platform, and also customize ad messages. The clear trend in content and media generally is toward mobile. And audio is the ultimate mobile medium. While teen and twentysomething consumers spend hours watching YouTube videos, a huge number of people of all ages want to listen as they drive, jog, do housework and go about their lives. Over the next 15 years, smartphones may be gradually replaced by ubiquitous artificial intelligent-driven devices such as smart glasses, smart speakers and smart displays. The first generation of smart glasses will be primarily audio, with the sound delivered by innovative means, such as bone conduction. Our interaction with the internet will happen in large part through virtual assistant-mediated conversational interfaces. And our preferred content will be the spoken word. This trend toward mobile and audio will boost the monetary value of podcasts, enabling lucrative business models by the dominant players. And Spotify intends to play right up there with Apple as one of the world’s two dominant players. Yes, Spotify’s big-spending grab of major podcast properties can seem ill advised. But I think it’s ahead of the curve and definitely on the right track. Or, at least, I think it’s right that podcasting is on the brink of becoming very big business. We may finally be seeing the first sound business strategy for podcasting. This story, "Suddenly, podcasting becomes a sound business" was originally published by Computerworld.